Jaws will drop and hugs will commence when you give someone you love this huge life size 5ft (60in) personalized teddy bear! Sunny Cuddles is big and soft, with cuddly mocha brown fur, warm brown eyes, a soft, big chubby black nose, and a great big smile. 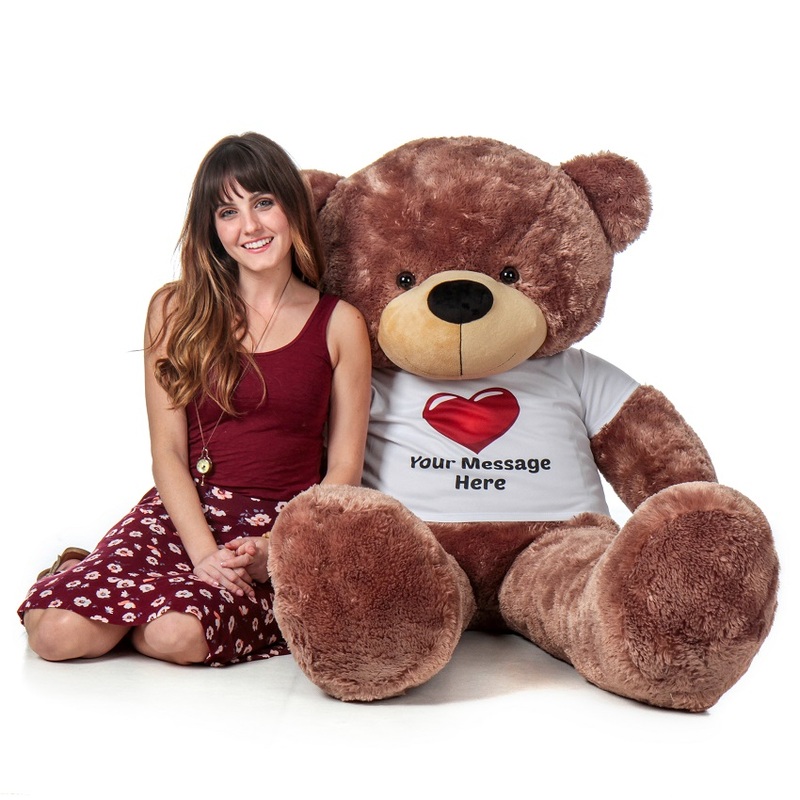 Sunny Cuddles is wearing our custom Giant Teddy Big Red Heart Teddy T-Shirt, with space for a personal 3-5 word message from you. The shirt is white and is removable. Sunny Cuddles is one of our most popular Giant Teddy bears, and he makes a great friendly or romantic personalized gift for someone close to your heart. Got this one for my daughter for Christmas! It's all she wanted and loves it! This bear was very soft and super full of stuffing!! It is durable and stands up to kids playing with it! !